Файловый менеджер с очень широкими возможностями - от стандартных до конвертации аудиофайлов, редактирования документов, просмотра графики и проигрывания и конвертации аудиофайлов. Умеет работать с наиболее популярными форматами архивов, имеется встроенный ftp-клиент и много других полезных опций. File management is always a big issue when it comes to using today's operating systems. Most people nowadays use good old Windows Explorer for routine file management. They cut, copy, and paste day in and day out, scrolling from one folder or drive to another the best that they can. 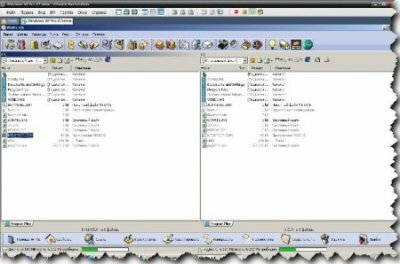 Maybe you miss the old days of File Manager where you could see dual views of your directories or drives. Or even better, what about Norton Commander, the old DOS trusty file management tool that could do it all with shortcut keys. Well, the folks at Dunes Multimedia, a small company based in the Netherlands, specializing in multimedia production, Internet design and software development, have whisked us back to the best of the 80s with their great product called WinNc 3000 Professional (WinNc). WinNc is a throwback to the good old days with a product that resembles and works just like its old lookalike but with added functionality and full windows flexibility. When you first open WinNc it feels like you are riding in a new Porsche, mainly because it loads fast and gives you full control of all of your files, directories and drives. Copying a file or moving directories is so much easier when you can view the process, and using the old F5 or F6 hot key to copy or move files is so much simpler than copy and paste. WinNc is loaded with all types of goodies, you can do just about any type of file maintenance you want, from file copy, splitting and deletion, to editing and viewing documents, audio, video and pictures. 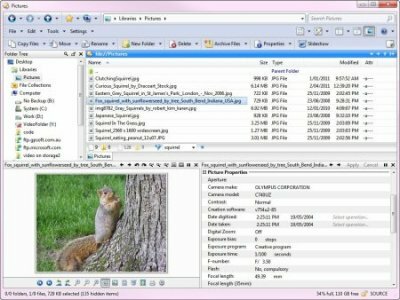 WinNc allows you to handle compressed files as if they were directories and supports all regular compression standards. Just press enter to open a zip file and select the files you want to compress or uncompress. Then use the old F5 or F6 hot keys to copy or move files in to the other panel containing your target directory. For the web WinNc allows you to upload your homepage files to a http/ftp server using the built in FTP function. WinNc is so comfortable that replacing Windows Explorer with WinNc was just as natural as getting into a car and driving away.